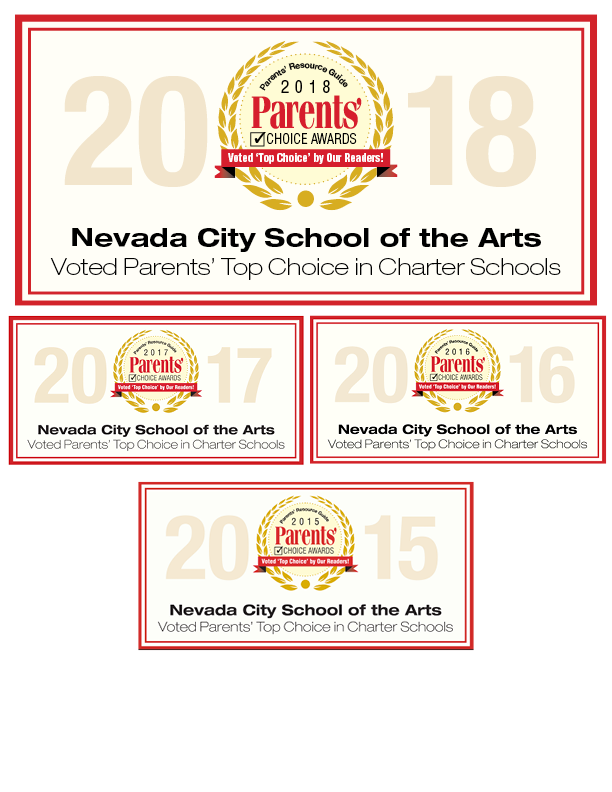 Since 1994, Nevada City School of the Arts has matured into a distinctive public charter school weaving art, music, dance and drama throughout an innovative academic program. Funding this program would be impossible if we relied solely on state and federal funding, for although we are a public school and receive state revenue, our expenses are unlike those of others. We have successfully navigated chronic underfunding because our parents and the wider community have generously lessened the financial gap in what the state provides and the true cost of our program. Our Annual Giving Campaign, run during the month of September, is our major philanthropic endeavor in which we ask every family to make their child’s education one of their highest financial priorities. Families are expected to make a voluntary donation that is feasible and reflects a strong commitment to the school. We currently ask parents to donate $800 per child (more if possible), or, if this is a financial hardship, to donate an amount significant for them; the goal is to have every family make a contribution. Donations to our Annual Giving Campaign support the operating budget and provides money for rent, salaries and our arts and music programs. FREE Money is NCSA’s name for the various fundraising programs that local and national businesses offer to non-profit organizations There are several of them, and they all have a different name, NCSA refers to them collectively as FREE Money. What FREE Money really means is NCSA gets free money when you shop! It takes the least bit of time to register, and then you only have to remember to use it. Take a look at all the businesses that are a part of this program, you’re sure to shop at one or two of them. FREE Money has the potential of raising $20,000 a year if everyone participates. Extended family and friends can also support NCSA. Donate a Vehicle. Are you ready to switch out that old clunker? Donated vehicles help support NCSA’s programs through Center For Car Donations. Donating your car is easy, convenient (free pick-up), provides you with a tax deduction and NCSA with a cash contribution. Whether your car, truck, boat, motorcycle or snowmobile is running or not, NCSA benefits! Visit https://careasy.org/nonprofit/nevada-city-school-of-the-arts and get started. Thank you! Donate Material Goods. We are happy to accept donations of material goods that benefit our school! We have received art supplies, office furniture, outdoor equipment, musical instruments including a grand piano, paper goods and more. Every material item we get is something we don’t have to purchase! NCSA is a Section 501(c)3 nonprofit and your gift may qualify as a charitable deduction for federal income tax purposes, a receipt will be provided to you along with our gratitude. Contact development@thencsa.com if you have something you’d like to donate. We always need helping hands! Volunteer opportunities are available throughout the year. Please contact Carabeth Rowley to find out where your help is needed.